The United Nations Security Council adopts Resolution 1267, creating the so-called al-Qaeda and Taliban Sanctions Committee, which links the two groups as terrorist entities and imposes sanctions on their funding, travel, and arms shipments. The UN move follows a period of ascendancy for al-Qaeda and its leader, Osama bin Laden, who guided the terror group from Afghanistan and Peshawar, Pakistan, in the late 1980s, to Sudan in 1991, and back to Afghanistan in the mid-1990s. The Taliban, which rose from the ashes of Afghanistan's post-Soviet civil war, provides al-Qaeda sanctuary for operations. 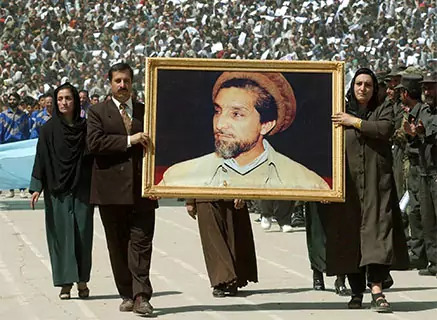 Ahmad Shah Massoud, commander of the Northern Alliance, an anti-Taliban coalition, is assassinated by al-Qaeda operatives. The killing of Massoud, a master of guerilla warfare known as the Lion of the Panjshir, deals a serious blow to the anti-Taliban resistance. Terrorism experts believe his assassination assured Osama bin Laden protection by the Taliban after the 9/11 attacks. Expert Peter Bergen later calls Massoud's assassination "the curtain raiser for the attacks on New York City and Washington, DC." 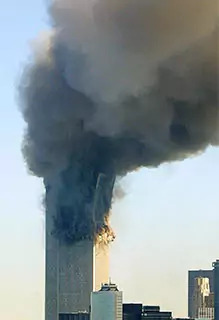 Al-Qaeda operatives hijack four commercial airliners, crashing them into the World Trade Center in New York and the Pentagon in Washington, DC. A fourth plane crashes in a field in Shanksville, Pennsylvania. Close to three thousand people die in the attacks. Although Afghanistan is the base for al-Qaeda, none of the nineteen hijackers are Afghan nationals. Mohammed Atta, an Egyptian, led the group, and fifteen of the hijackers originated from Saudi Arabia. President George W. Bush vows to "win the war against terrorism," and later zeros in on al-Qaeda and Osama bin Laden in Afghanistan. 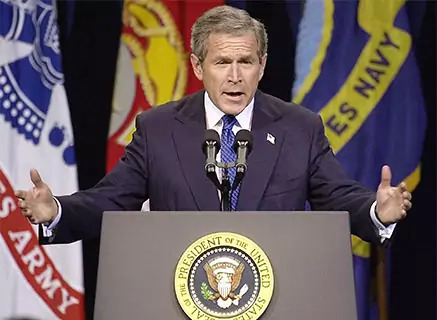 Bush eventually calls on the Taliban regime to "deliver to the United States authorities all the leaders of al-Qaeda who hide in your land," or share in their fate. 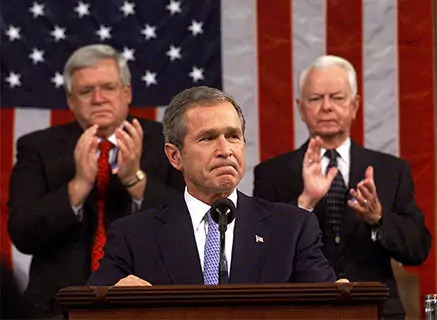 President George W. Bush signs into law a joint resolution authorizing the use of force against those responsible for attacking the United States on 9/11. This joint resolution will later be cited by the Bush administration as legal rationale for its decision to take sweeping measures to combat terrorism, from invading Afghanistan, to eavesdropping on U.S. citizens without a court order, to standing up the detention camp at Guantanamo Bay, Cuba. The U.S. military, with British support, begins a bombing campaign against Taliban forces, officially launching Operation Enduring Freedom. Canada, Australia, Germany, and France pledge future support. The war's early phase [PDF] mainly involves U.S. air strikes on al-Qaeda and Taliban forces that are assisted by a partnership of about one thousand U.S. special forces, the Northern Alliance, and ethnic Pashtun anti-Taliban forces. The first wave of conventional ground forces arrives twelve days later. 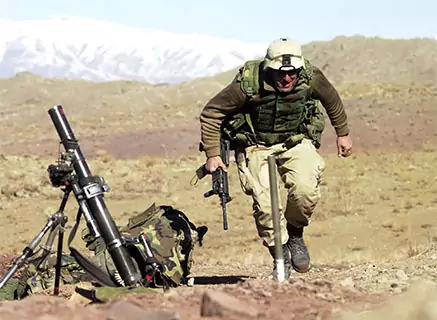 Most of the ground combat is between the Taliban and its Afghan opponents. 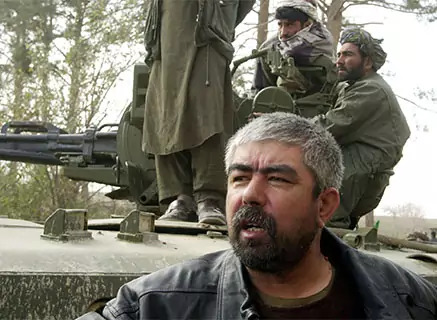 The Taliban regime unravels rapidly after its loss at Mazar-e-Sharif on November 9, 2001, to forces loyal to Abdul Rashid Dostum, an ethnic Uzbek military leader. Over the next week Taliban strongholds crumble after coalition and Northern Alliance offensives on Taloqan (11/11), Bamiyan (11/11), Herat (11/12), Kabul (11/13), and Jalalabad (11/14). 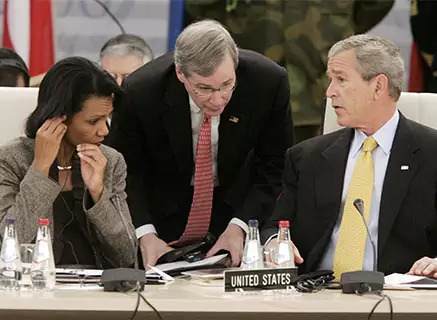 On November 14, 2001, the UN Security Council passes Resolution 1378, calling for a "central role" for the United Nations in establishing a transitional administration and inviting member states to send peacekeeping forces to promote stability and aid delivery. 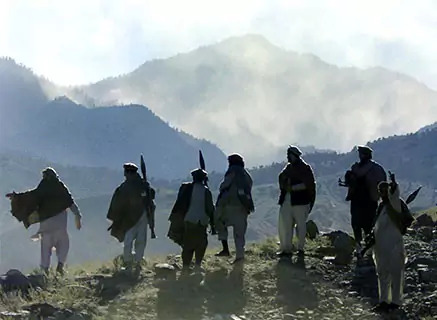 After tracking al-Qaeda leader Osama bin Laden to the well-equipped Tora Bora cave complex southeast of Kabul, Afghan militias engage in a fierce two-week battle (December 3 to 17) with al-Qaeda militants. It results in a few hundred deaths and the eventual escape of bin Laden, who is thought to have left for Pakistan on horseback on December 16—just a day before Afghan forces capture twenty of his remaining men. 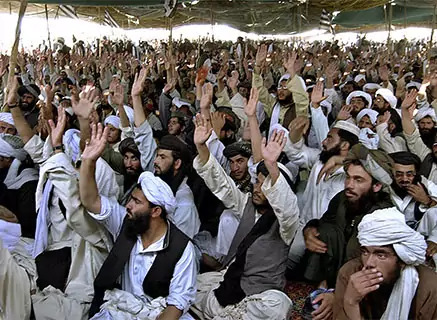 Despite intelligence pointing to bin Laden's presence in Tora Bora, U.S. forces do not lead the assault, which is carried out by a ragtag Afghan contingent led by Hazrat Ali, Haji Zaman, and Haji Zahir. Some critics will later question why U.S. forces did not take a more assertive role in the engagement. After the fall of Kabul in November 2001, the United Nations invites major Afghan factions, most prominently the Northern Alliance and a group led by the former king (but not the Taliban), to a conference in Bonn, Germany. On December 5, 2001, the factions sign the Bonn Agreement, endorsed by UN Security Council Resolution 1383. The agreement, reportedly reached with substantial Iranian diplomatic help because of Iran's support for the Northern Alliance faction, installs Hamid Karzai as interim administration head, and creates an international peacekeeping force to maintain security in Kabul. The Bonn Agreement is followed by UN Security Council Resolution 1386 on December 20, which establishes the International Security Assistance Force, or ISAF. 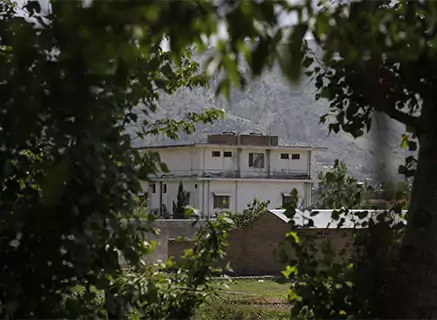 The end of the Taliban regime is generally tied to this date, when the Taliban surrender Kandahar [PDF] and Taliban leader Mullah Omar flees the city, leaving it under tribal law administered by Pashtun leaders. Despite the official fall of the Taliban, however, al-Qaeda leaders continue to hide out in the mountains. 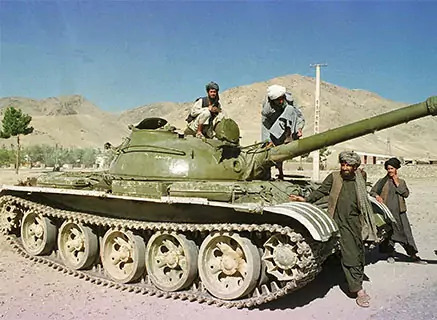 Operation Anaconda, the first major ground assault and the largest operation since Tora Bora, is launched against an estimated eight hundred al-Qaeda and Taliban fighters in the Shah-i-Kot Valley south of the city of Gardez (Paktia Province). Nearly two thousand U.S. and one thousand Afghan troops battle the militants. Despite the operation's size, however, Anaconda does not represent a broadening of the war effort. Instead, Pentagon planners begin shifting military and intelligence resources away from Afghanistan in the direction of Saddam Hussein's Iraq, which is increasingly mentioned as a chief U.S. threat in the "war on terror." President George W. Bush calls for the reconstruction of Afghanistan in a speech at the Virginia Military Institute. 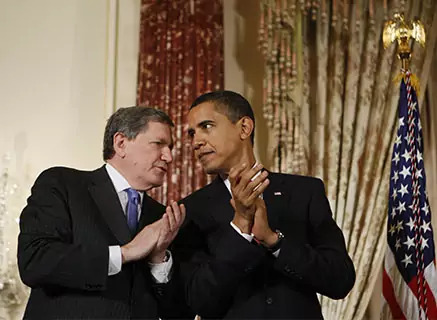 "By helping to build an Afghanistan that is free from this evil and is a better place in which to live, we are working in the best traditions of George Marshall," he says, evoking the post-World War II Marshall Plan that revived Western Europe. But the United States and the international community do not come close to Marshall Plan-like reconstruction spending for Afghanistan. The U.S. Congress appropriates over $38 billion in humanitarian and reconstruction assistance to Afghanistan from 2001 to 2009. Hamid Karzai, chairman of Afghanistan's interim administration since December 2001, is picked to head the country's transitional government. His selection comes during an emergency loya jirga assembled in Kabul, attended by 1,550 delegates (including about 200 women) from Afghanistan's 364 districts. 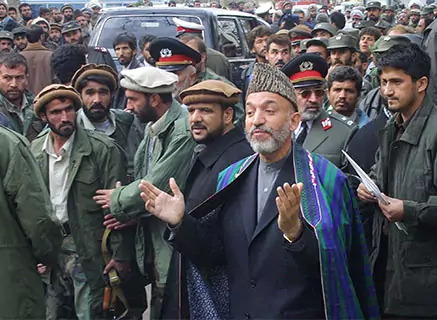 Karzai, leader of the powerful Popalzai tribe of Durrani Pashtuns, returned to Afghanistan from Pakistan after the 9/11 attacks to organize Pashtun resistance to the Taliban. Some observers allege Karzai tolerates corruption by members of his clan and his government. The Northern Alliance, dominated by ethnic Tajiks, fails in its effort to set up a prime ministership, but does succeed in checking presidential powers by assigning major authorities to the elected parliament, such as the power to veto senior official nominees and to impeach a president. The U.S. military creates a civil affairs framework to coordinate redevelopment with UN and nongovernmental organizations and to expand the authority of the Kabul government. These so-called provincial reconstruction teams, or PRTs, are stood up first in Gardez in November, followed by Bamiyan, Kunduz, Mazar-e-Sharif, Kandahar, and Herat. Command for individual PRTs is eventually handed over to NATO states. While credited with improving security for aid agencies, the model is not universally praised. Concern mounts that the PRT system lacks central controlling authority, is disorganized, and creates what a U.S. Institute of Peace report calls "an ad hoc approach" to security and development. Such criticism grows beyond the PRT program and becomes a common theme in the NATO war effort, as a maze of ìnational caveatsî restricts the activities of member forces. Critics contend this limits the coalition's effectiveness. During a briefing with reporters in Kabul, Secretary of Defense Donald Rumsfeld declares an end to "major combat." The announcement coincides with President George W. Bush's "mission accomplished" declaration of an end to fighting in Iraq. 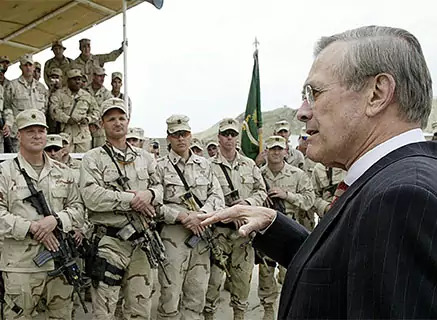 Rumsfeld says President Bush, U.S. Central Command Chief Gen. Tommy Franks, and Afghan President Hamid Karzai "have concluded that we are at a point where we clearly have moved from major combat activity to a period of stability and stabilization and reconstruction and activities." There are only eight thousand U.S. soldiers stationed in Afghanistan. It is predicted that the transition from combat to reconstruction will ìopen the door for many aid organizations, particularly European groups, that had balked at sending troops, supplies, or other assistance. The North Atlantic Treaty Organization (NATO) assumes control of international security forces (ISAF) in Afghanistan, expanding NATO/ISAF's role across the country. It is NATO's first operational commitment outside of Europe. Originally tasked with securing Kabul and its surrounding areas, NATO expands in September 2005, July 2006, and October 2006. The number of ISAF troops grows accordingly, from an initial five thousand to around sixty-five thousand troops from forty-two countries, including all twenty-eight NATO member states. In 2006, ISAF assumes command of the international military forces in eastern Afghanistan from the U.S.-led coalition, and also becomes more involved in intensive combat operations in southern Afghanistan. An assembly of 502 Afghan delegates agrees on a constitution for Afghanistan, creating a strong presidential system intended to unite the country's various ethnic groups. The act is seen as a positive step toward democracy. "Afghans have seized the opportunity provided by the United States and its international partners to lay the foundation for democratic institutions and provide a framework for national elections," declares U.S. Ambassador to Afghanistan Zalmay Khalilzad. In historic national balloting, Karzai becomes the first democratically elected head of Afghanistan. Voters turn out in high numbers despite threats of violence and intimidation. Karzai wins with 55 percent of the vote, while his closest rival, former education minister Younis Qanooni, polls 16 percent. 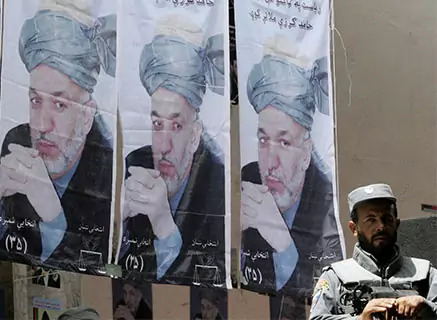 Karzai's election victory is marred by accusations of fraud by his opponents and by the kidnapping of three foreign UN election workers by a militant group. 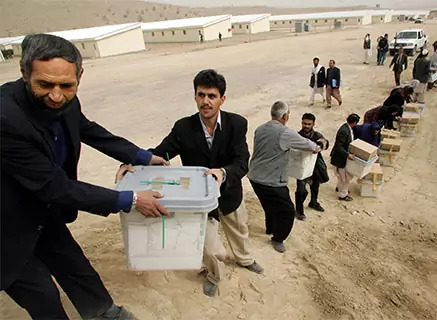 But the election is nonetheless hailed as a victory for the fragile nation; Afghans had not gone to the polls since 1969, when they cast ballots in parliamentary elections during the reign of King Mohammed Zahir Shah. Signaling the persistent challenges facing the U.S.-led coalition in Afghanistan, Osama bin Laden releases a videotaped message three weeks after the country's presidential election and just days before the U.S. polls in which George W. Bush will win reelection. 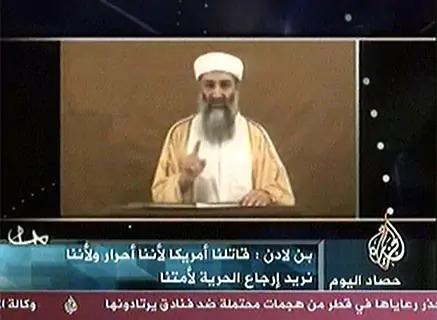 In remarks aired on the Arab television network Al Jazeera, bin Laden taunts the Bush administration and takes responsibility for the attacks of September 11, 2001. "We want to restore freedom to our nation, just as you lay waste to our nation," bin Laden says. 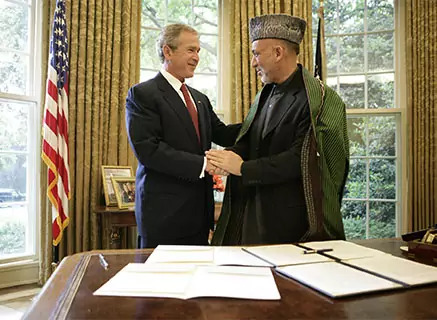 Afghan president Hamid Karzai and U.S. president George W. Bush issue a joint declaration that pronounces their respective countries strategic partners. The declaration gives U.S. forces access to Afghan military facilities to prosecute "the war against international terror and the struggle against violent extremism." The alliance's goal, the agreement says, is to "strengthen U.S.-Afghan ties and help ensure Afghanistan's long-term security, democracy, and prosperity." Moreover, the agreement calls for Washington to "help organize, train, equip, and sustain Afghan security forces as Afghanistan develops the capacity to undertake this responsibility," and to continue to rebuild the country's economy and political democracy. 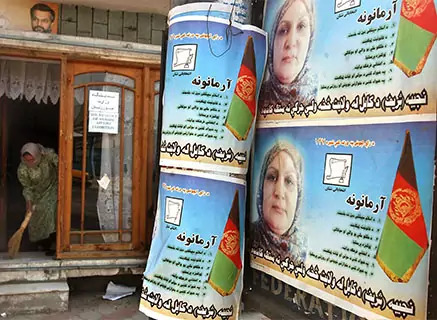 More than six million Afghans turn out to vote for the Wolesi Jirga (Council of People), the Meshrano Jirga (Council of Elders), and local councils. Considered the most democratic elections ever in Afghanistan, nearly half those casting ballots are women, viewed as a sign of political progress in a highly patriarchal and conservative society. Sixty-eight out of 249 seats are set aside for female members of Afghanistan's lower house of parliament and 23 out of 102 are reserved in the upper house. Violence increases across the country during the summer months, with intense fighting erupting in the south in July. The number of suicide attacks quintuples from 27 in 2005 to 139 in 2006, while remotely detonated bombings more than double, to 1,677. Despite a string of recent election successes, some experts blame a faltering central government for the spike in attacks. 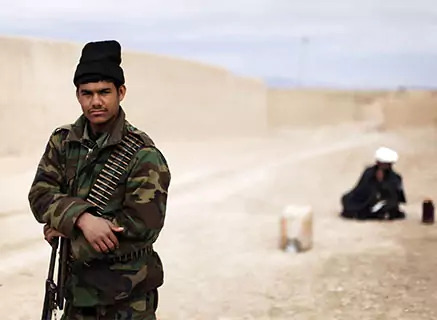 "As with most insurgencies, the critical precondition [to the Afghan insurgency] is the collapse of governance," says Afghanistan expert Seth G. Jones. 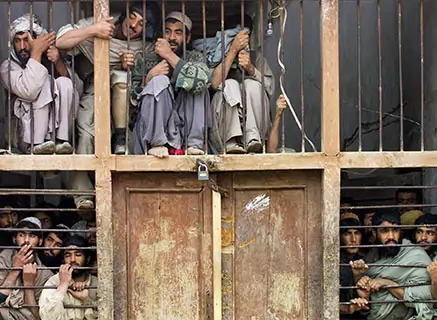 Jones and other experts point to the many Afghans who lack basic services, the government's difficultly setting up its police forces, and the lack of international forces to assist with security. At the NATO summit in Riga, rifts emerge among member states on troop commitments to Afghanistan. NATO Secretary-General Jaap de Hoop Scheffer sets a target of 2008 for the Afghan National Army to begin to take control of security. "I would hope that by 2008 we will have made considerable progress," he says, "with a more stable political architecture in place, and with a strong interface between NATO and the civilian agencies and effective, trusted Afghan security forces gradually taking control." Leaders of the twenty-six countries agree to remove some national restrictions on how, when, and where forces can be used. But friction continues. With violence against nongovernmental aid workers increasing, U.S. Secretary of Defense Robert Gates criticizes NATO countries in late 2007 for not sending more soldiers. "Our progress in Afghanistan is real but it is fragile," Gates says. "At this time, many allies are unwilling to share the risks, commit the resources, and follow through on collective commitments to this mission and to each other. As a result, we risk allowing what has been achieved in Afghanistan to slip away." A notorious Taliban military commander, Mullah Dadullah, is killed in a joint operation by Afghan, U.S., and NATO forces in the south of Afghanistan. Dadullah is believed to have been a leader of guerrilla forces in the war in Helmand Province, deploying suicide bombers and ordering the kidnapping of Westerners. He once told the BBC that hundreds of suicide bombers awaited his command to launch an offensive against foreign troops. Afghan and UN investigations find that errant fire from a U.S. gunship killed dozens of Afghan civilians in the Shindand District of western Herat Province, drawing condemnation from President Hamid Karzai and bolstering Taliban claims that coalition forces are unable to protect the population. 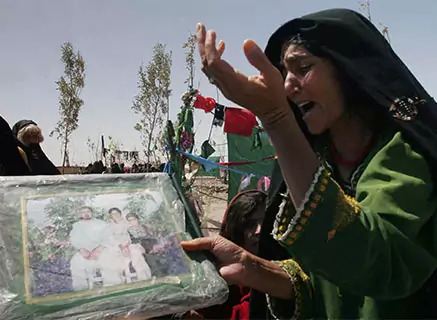 U.S. military officials dispute the death toll in this incident as well as claims that a separate incident in Farah Province left as many as 140 civilians dead. After being named top U.S. commander in Afghanistan in mid-2009, Gen. Stanley A. McChrystal orders an overhaul of U.S. air strike procedures. "We must avoid the trap of winning tactical victories, but suffering strategic defeats, by causing civilian casualties or excessive damage and thus alienating the people," the general writes. 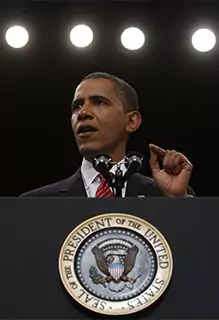 New U.S. president Barack Obama announces plans to send seventeen thousand more troops to the war zone. Obama reaffirms campaign statements that Afghanistan is the more important U.S. front against terrorist forces. He says the United States will stick to a timetable to draw down most combat forces from Iraq by the end of 2011. As of January 2009 the Pentagon has thirty-seven thousand troops in Afghanistan, roughly divided between U.S. and NATO commands. Reinforcements focus on countering a "resurgent" Taliban and stemming the flow of foreign fighters over the Afghan-Pakistan border in the south. Speaking on the troop increase, Secretary of Defense Robert Gates describes the original mission in Afghanistan as "too broad" and calls for establishing limited goals such as preventing and limiting terrorist safe havens. President Obama announces a new strategy for the war effort, linking success in Afghanistan to a stable Pakistan. The core goal of the strategy, as outlined in an interagency white paper, is "to disrupt, dismantle, and defeat al Qaeda and its safe havens in Pakistan, and to prevent their return to Pakistan or Afghanistan." The strategy urges the passage of increased aid to Pakistan and a strict standard of measuring progress in fighting al-Qaeda and the Taliban. Plans also call for the deployment of an additional four thousand soldiers to help train the Afghan army and police force. President Hamid Karzai of Afghanistan welcomes the strategy, stating that the plan will bring Afghanistan and the international community closer to success. 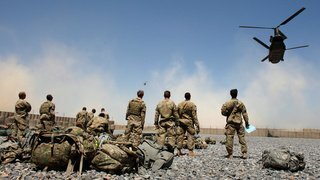 Senior U.S. military officials and commanders, altering course from the Bush administration, call on NATO nations to supply non-military assets to Afghanistan. Officials stress the need for NATO members to step up in building Afghan civil society, such as providing resources for provincial reconstruction teams, or PRTs. A two-day NATO summit in early April ends with a promise by NATO nations to send an additional five thousand troops to train the Afghan army and police force, and to provide security for the country's August presidential election. Secretary of Defense Robert Gates replaces the top U.S. commander in Afghanistan, Gen. David D. McKiernan, with counterinsurgency and special operations guru Gen. Stanley A. McChrystal. McKiernan's removal comes eleven months after he assumed command of NATO forces in Afghanistan. Gates says the Pentagon needs "fresh thinking" and "fresh eyes" on the Afghanistan war at a time when many analysts say operations there are spiraling out of control. 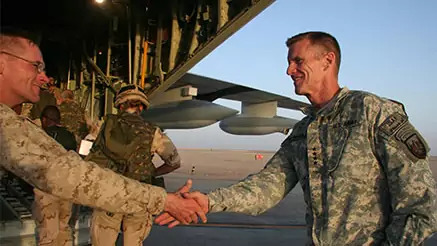 Reports indicate that the appointment of McChrystal is intended to bring a more "aggressive and innovative" approach to the Afghan war effort in tune with a more focused counterinsurgency strategy. U.S. Marines launch a major offensive in southern Afghanistan, representing a major test for the U.S. military's new counterinsurgency strategy. 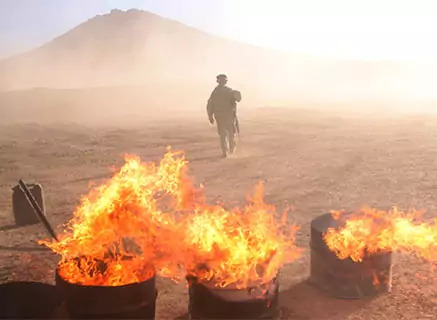 The offensive, involving four thousand Marines, is launched in response to a growing Taliban insurgency in the country's southern provinces, especially Helmand Province. The operation focuses on restoring government services, bolstering local police forces, and protecting civilians from Taliban incursion. By August 2009 U.S. forces are to number between sixty thousand and sixty-eight thousand. After more than two months of uncertainty following a disputed presidential election on August 20, President Hamid Karzai wins another term. The August 20 election, which pitted Karzai against top contenders Abdullah Abdullah and Ashraf Ghani, was marred by fraud allegations. An investigation by the UN-backed Electoral Complaints Commission finds Karzai won only 49.67 percent of the vote, below the 50 percent-plus-one threshold needed to avoid a runoff. Under international pressure, Karzai agrees to a runoff vote on November 7. But a week before the runoff, Karzai's main rival Abdullah pulls out, and Karzai is declared the winner. Concerns over Karzai's legitimacy grow, and the United States and other international partners call for improved governance. U.S. Secretary of State Hillary Clinton ties all future civilian aid to greater efforts by the Karzai administration to combat corruption. Nine months after renewing the U.S. commitment to the Afghan war effort, President Obama announces a major escalation of the U.S. mission. In a nationally televised speech, the president commits an additional thirty thousand forces to the fight, on top of the sixty-eight thousand in place. These forces, Obama says, "will increase our ability to train competent Afghan Security Forces, and to partner with them so that more Afghans can get into the fight. And they will help create the conditions for the United States to transfer responsibility to the Afghans." 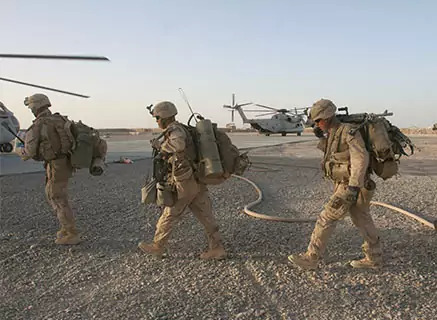 For the first time in the eight-year war effort, a time frame is put on the U.S. military presence, as Obama sets July 2011 as the start of a troop drawdown. But the president does not detail how long a drawdown will take. Obama says U.S. national interests are linked to success in the Afghan war effort, and argues that this temporary surge will force Afghan political and military institutions to assume responsibility for their own affairs. Gen. Stanley McChrystal is relieved of his post as commander of U.S. forces in Afghanistan, following a controversial Rolling Stone article in which he and his aides were quoted criticizing the administration. 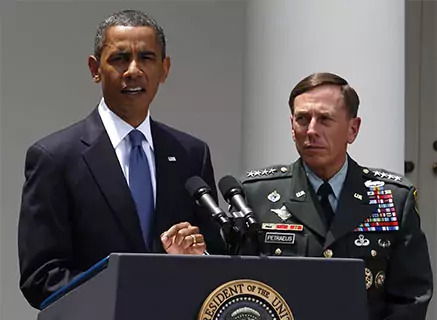 President Barack Obama nominates Gen. David Petraeus, head of the military's Central Command and architect of the 2007 Iraq surge, to replace McChrystal. The change in command comes at a crucial time in the war, as additional surge forces are scheduled to arrive ahead of a critical operation in Kandahar. Obama emphasizes that his acceptance of McChrystal's resignation does not reflect disagreement over the counterinsurgency strategy he had helped shape. "We are in full agreement about our strategy," says Obama. "This is a change in personnel, not a change in policy." At a summit in Lisbon, NATO member countries sign a declaration agreeing to hand over full responsibility for security in Afghanistan to Afghan forces by the end of 2014. The transition process is set to begin in July 2011, with local security forces taking over control in relatively stable provinces and cities. The initial handover is to coincide with the start of a drawdown in the one hundred thousand-strong contingent of U.S. troops deployed in Afghanistan, though the number of U.S. soldiers leaving is expected to be a token amount. But many in Afghanistan and in the West, including members of the Afghan parliament, are concerned about the ability of national forces to take over from international troops. 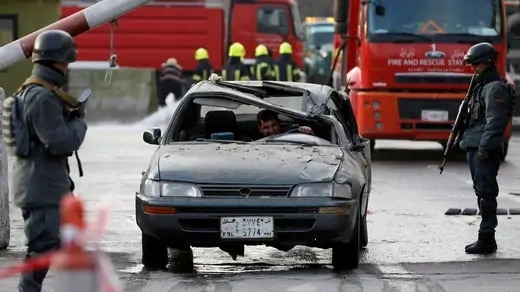 On May 1, 2011, al-Qaeda leader Osama bin Laden, responsible for the 9/11 attacks in New York and Washington, is killed by U.S. forces in Pakistan. The death of America's primary target for a war that started ten years ago fuels the long-simmering debate about continuing the Afghanistan war. 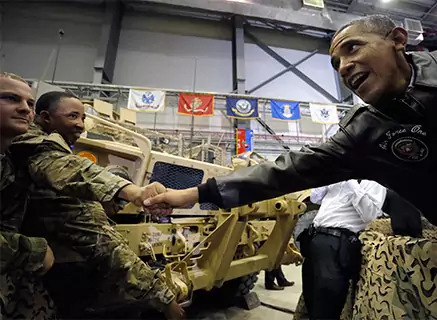 As President Obama prepares to announce the withdrawal of some or all of the thirty thousand surge troops in July, congressional lawmakers increasingly call for a hastened drawdown of U.S. troops, though some analysts argue for a sustained military engagement. Meanwhile, anti-Pakistan rhetoric grows in Afghanistan, where officials have long blamed terrorist safe havens in Pakistan for violence in Afghanistan. Afghan President Hamid Karzai reiterates that international forces should focus their military efforts across the border in Pakistan. "For years we have said that the fight against terrorism is not in Afghan villages and houses," he says. 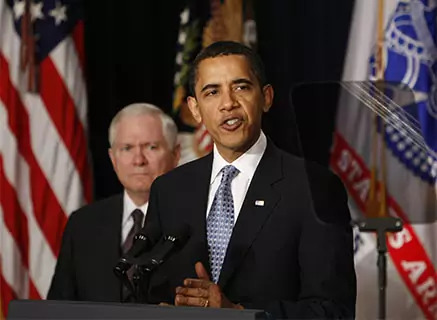 President Obama outlines a plan to withdraw thirty-three thousand troops by the summer of 2012—the surge troops sent in December 2009—including ten thousand by the end of 2011. Polls show a record number of Americans do not support the war, and Obama faces pressure from lawmakers, particularly Democrats, to sizably reduce U.S. forces in Afghanistan. After the surge troops leave, an estimated seventy thousand U.S. troops are scheduled to stay through at least 2014. 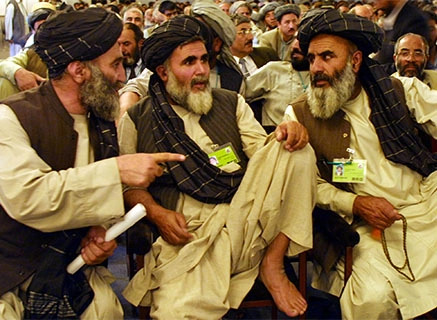 Obama confirms that the U.S. is holding preliminary peace talks with the Taliban leadership. With reconciliation in mind, the UN Security Council days earlier splits a sanctions list between members of al-Qaeda and the Taliban, making it easier to add and remove people and entities. 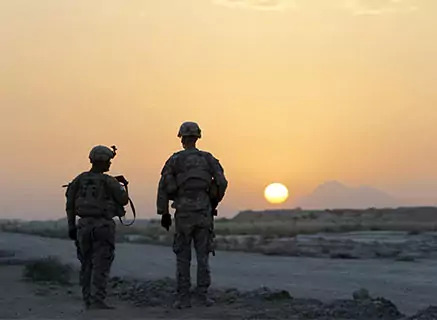 The U.S. war in Afghanistan marks its tenth anniversary, with about hundred thousand U.S. troops deployed in a counterinsurgency role, primarily in southern and eastern regions. 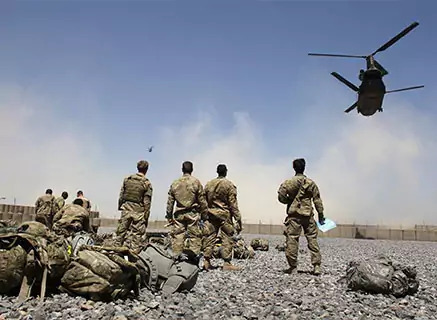 President Barack Obama plans to withdraw all combat troops by 2014, but serious doubts remain about the Afghan government's capacity to secure the country. Amid a resilient insurgency, U.S. goals in Afghanistan remain uncertain and terrorist safe havens in Pakistan continue to undermine U.S. efforts. A decade in, the war's tolls include 1,800 U.S. troop casualties and $444 billion in spending. The costs have eroded U.S. public support, with a global economic downturn, a 9.1 percent unemployment rate, and a $1.3 trillion annual budget deficit. While there are military gains, hopes for a deal with the Taliban to help wind down the conflict remain riddled with setbacks. President Karzai suspends the talks following the September 20 assassination of Burhanuddin Rabbani, the government's chief negotiator, which Afghan officials blame on the Pakistan-based Haqqani network. The group denies it. 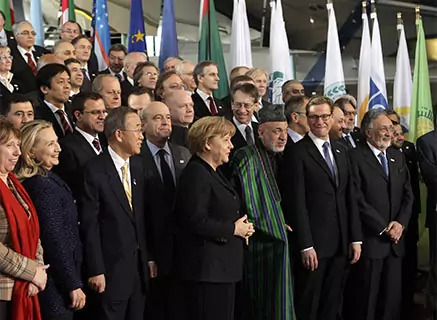 Ten years after the first international conference that discussed Afghanistan's political future, dozens of countries and organizations meet again in Bonn, Germany, to devise a roadmap of cooperation beyond the international troop withdrawal in 2014. 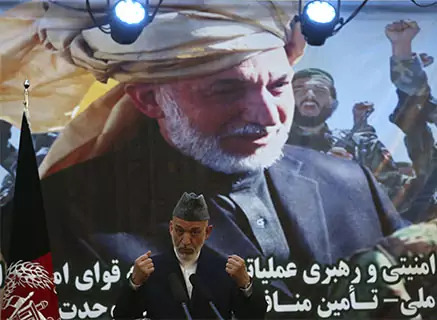 Afghan President Hamid Karzai says the country will require $10 billion annually over the next decade to shore up security and reconstruction, and commits to tackling corruption in exchange for continued international assistance. The conference fails to achieve its objectives--to lay down a blueprint for Afghanistan's transition to a self-sustaining and secure government--as the insurgency continues to rage, and Pakistan, a crucial player, refuses to attend. In January, the Taliban strikes a deal to open an office in Qatar, a move toward peace talks that the United States sees as a crucial part of a political settlement to ensure a stable Afghanistan. But two months later, the Taliban suspends preliminary talks, accusing Washington of reneging on promises to take meaningful steps toward a prisoner swap. In February, U.S. Defense Secretary Leon Panetta announces the Pentagon's plan to conclude combat missions by as early as mid-2013 and shift to a primarily security assistance role in Afghanistan. 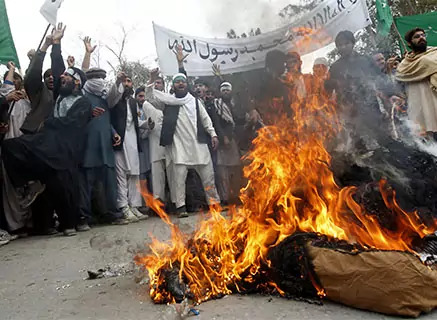 Meanwhile, several incidents serve as blows to the international mission, including an accidental burning of Qurans by U.S. troops and allegations that a U.S. soldier murdered at least sixteen Afghan villagers. 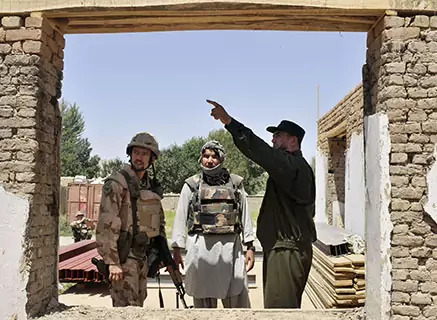 President Hamid Karzai demands that foreign troops be withdrawn from village outposts and confined to military bases, which analysts say would greatly accelerate the pace of transition from NATO to Afghan control. Afghan forces take the lead in security responsibility nationwide as NATO hands over control of the remaining ninety-five districts. The U.S.-led coalition's focus shifts to military training and special operations-driven counterterrorism. 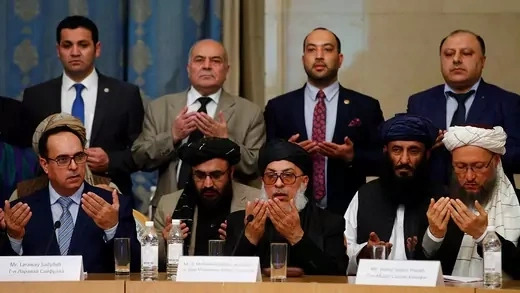 The handover occurs on the same day as the announcement that Taliban and U.S. officials will resume talks in Doha, Qatar, where the Taliban has just opened an office. President Hamid Karzai, believing the office will confer legitimacy on the insurgent group and serve as a diplomatic outpost, suspends negotiations with the United States. With its mandate expiring in December 2014, the United States must negotiate a bilateral security agreement with the Karzai government to maintain a military presence. President Barack Obama announces a timetable for withdrawing most U.S. forces from Afghanistan by the end of 2016. The first phase of his plan calls for 9,800 U.S. troops to remain after the combat mission concludes at the end of 2014, limited to training Afghan forces and conducting operations against “the remnants of al-Qaeda.” Obama says the drawdown will free resources for counterterrorism priorities elsewhere. Some analysts point to the insurgency’s resilience and question the plan’s rigidity. 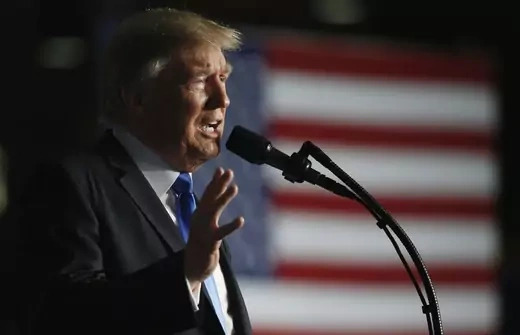 Both candidates vying to succeed President Hamid Karzai have promised to sign the security agreement that is a prerequisite of any post-2014 U.S. troop presence. 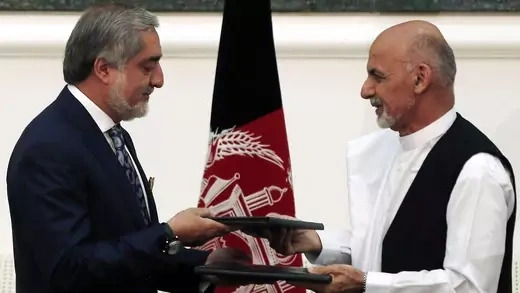 Ashraf Ghani, the newly elected president, signs a power-sharing agreement with his chief opponent, Abdullah Abdullah, who had mobilized thousands of protestors as he challenged the voting results. The agreement, brokered after intensive diplomacy by U.S. Secretary of State John Kerry, establishes the role of chief executive officer for Abdullah. 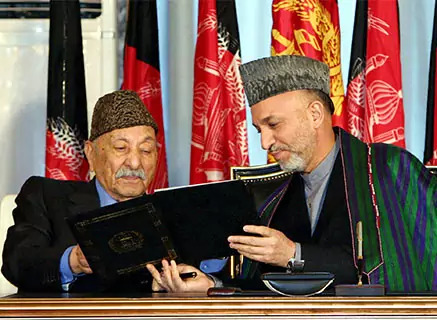 While the agreement staves off civil unrest, it ushers in protracted government dysfunction as Ghani and Abdullah tussle over their respective prerogatives, such as appointments to security posts, at a time when the Taliban are making gains in the countryside. Ghani, a former World Bank specialist, is a Pashtun from the country’s south, like Karzai, but is seen by the Obama administration as a welcome change. Karzai had railed against civilian casualties in the U.S. war effort and was seen as fostering public corruption. 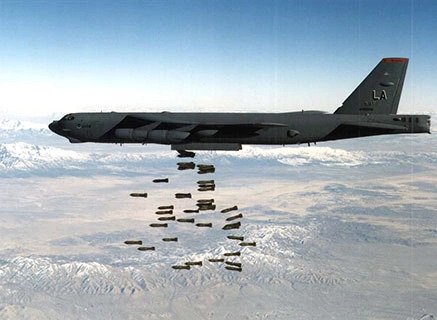 The United States drops its most powerful non-nuclear bomb on suspected Islamic State militants at a cave complex in eastern Nangarhar Province. The weapon, known colloquially as “the mother of all bombs,” comes as newly elected President Donald J. Trump delegates decision-making authorities to commanders, including the possibility of adding several thousand U.S. troops to the nearly nine thousand already deployed there. (There are about as many U.S. contractors as well.) The bombing casts a spotlight on the emergence of the Islamic State in Afghanistan. At the same time, the Taliban appears to be as strong as ever, and the U.S. military describes the war as a stalemate. Kabul experiences suicide bombings [PDF] on a scale never before seen, while the Taliban control or contest more than a third [PDF] of the country. U.S. Marines are once again dispatched to Helmand Province. President Trump outlines his Afghanistan policy in an address to troops in Arlington, VA, saying that though his “original instinct was to pull out,” he will instead press ahead with an open-ended military commitment to prevent the emergence of “a vacuum for terrorists.” Differentiating his policy from Obama’s, Trump says decisions about withdrawal will be based on “conditions on the ground,” rather than arbitrary timelines. He invites India to play a greater role in rebuilding Afghanistan while castigating Pakistan for harboring insurgents. He also pledges to loosen restrictions on combat even as the United Nations reports an uptick [PDF] in civilian casualties caused by Afghan and coalition air strikes. A political settlement with the Taliban, Trump says, is far off. The Taliban carry out a series of bold terror attacks in Kabul that kill more than 115 people amid a broader upsurge in violence. 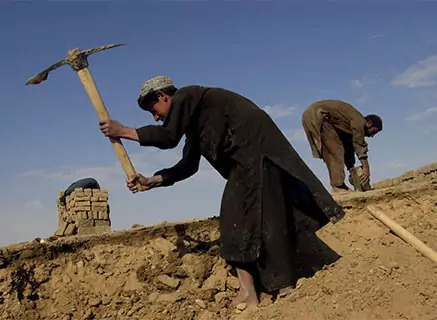 The attacks come as the Trump administration implements its Afghanistan plan, deploying troops across rural Afghanistan to advise Afghan brigades and launching air strikes against opium labs to try to decimate the Taliban’s finances. The administration also cuts off security assistance worth billions of dollars to Pakistan for what President Trump called its “lies and deceit” in harboring Taliban militants. Critics of the National Unity Government say domestic politics—notably a showdown with a provincial governor—have distracted President Ghani from security. Negotiations between the United States and the Taliban in Doha enter their highest level yet, building on momentum that began in late 2018. 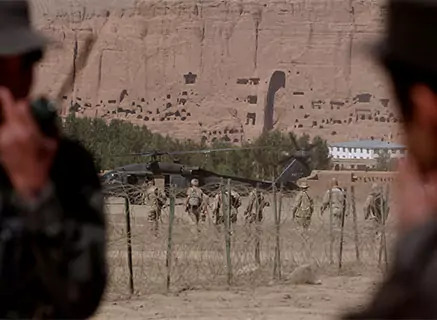 The talks between U.S. special envoy Zalmay Khalilzad and top Taliban official Mullah Abdul Ghani Baradar center on the United States withdrawing its troops from Afghanistan in exchange for the Taliban pledging to block international terrorist groups from operating on Afghan soil. The ramped-up diplomacy follows signals that President Trump plans to pull out seven thousand troops, about half the total U.S. deployment. Khalilzad says the United States will insist that the Taliban agree to participate in an intra-Afghan dialogue on the country’s political structure, as well as a cease-fire. It is unclear whether Trump will condition the troop withdrawal on those terms.